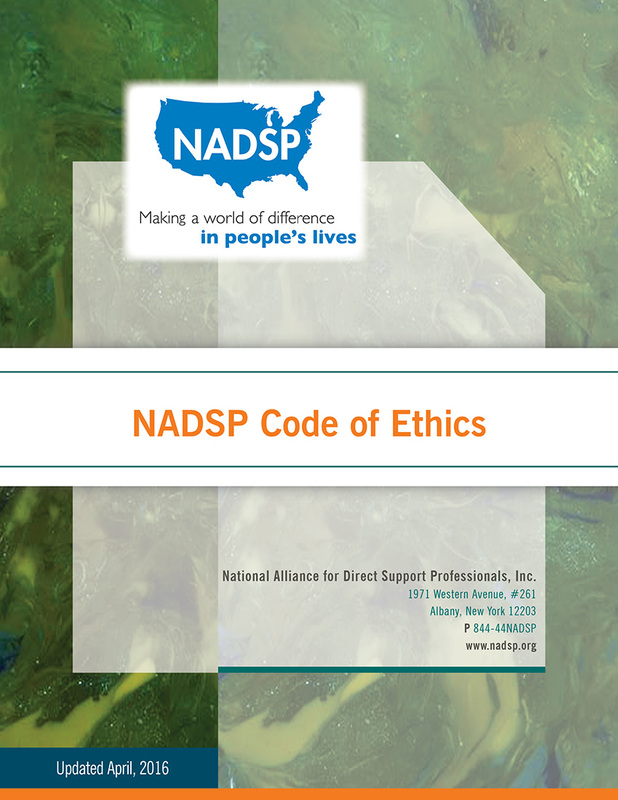 Developed by the NADSP, the Code of Ethics is intended to serve as a straightforward and relevant guide for DSPs as they resolve the ethical dilemmas they face every day, and encourages them to achieve the highest ideals of the profession. 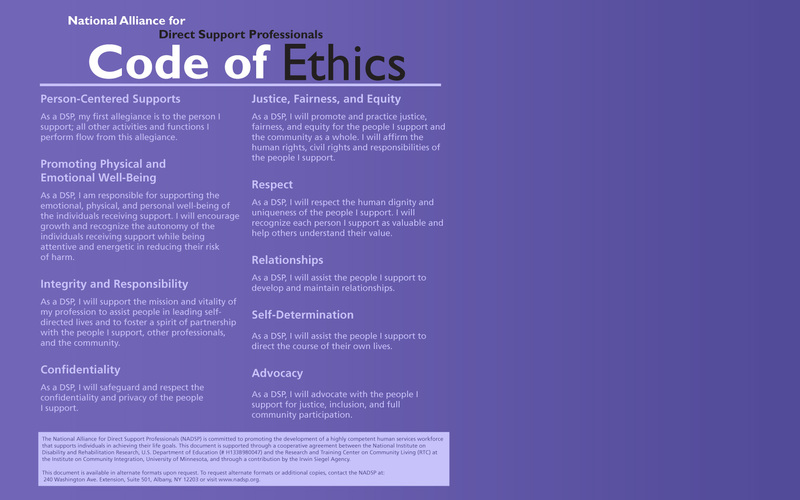 The fifteen competency areas offer DSPs the opportunity to address challenges, work on issues identified by the person they support, or assist a person in looking in a particular goal. 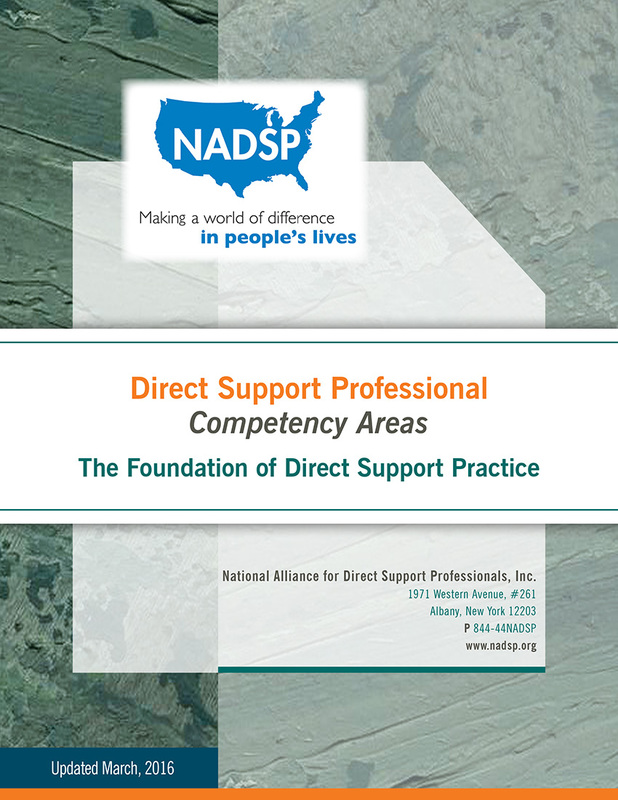 Each competency area has corresponding skill statements that describe the knowledge and skills DSPs must have to demonstrate competency in each area. 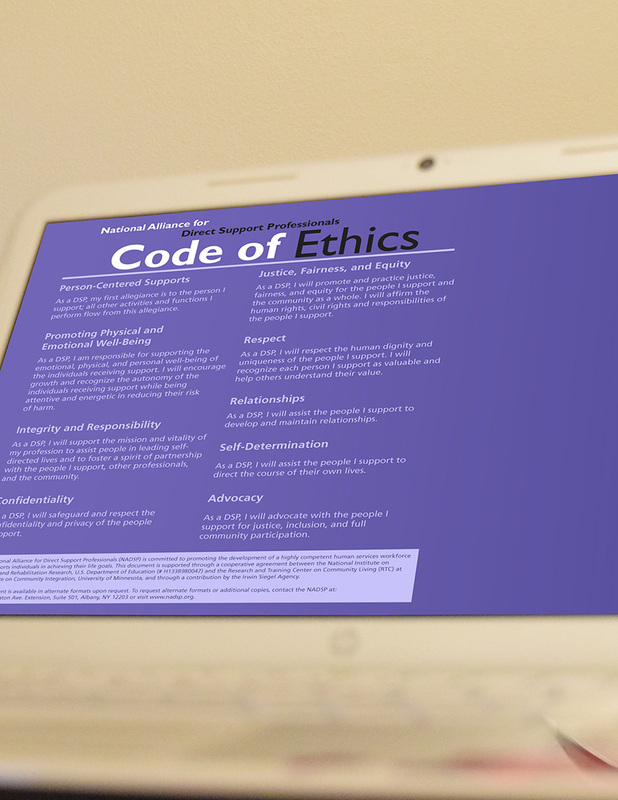 You can download the NADSP Code of Ethics Desktop Wallpaper for your computer. 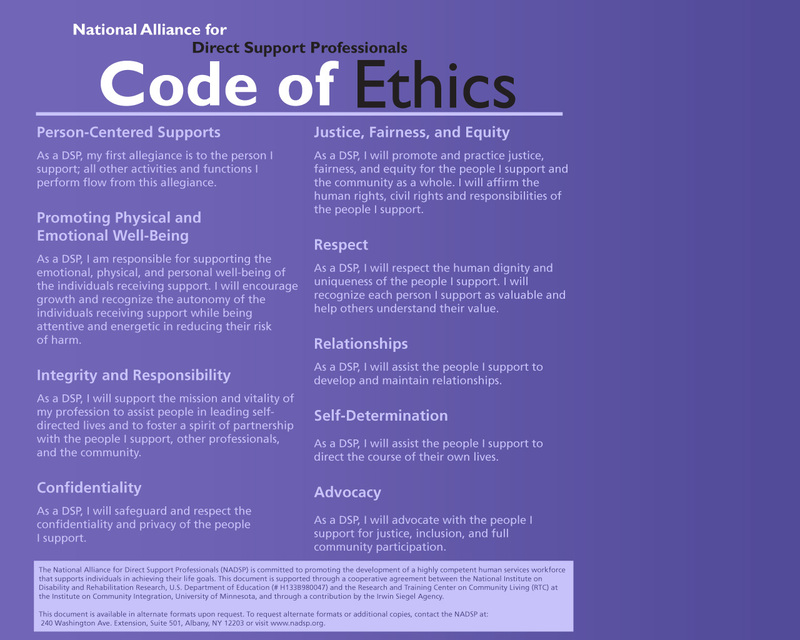 It’s a great way to share the Code of Ethics in your organization and keep them at your fingertips! We’ve created two different sizes that will fit most computer screens.